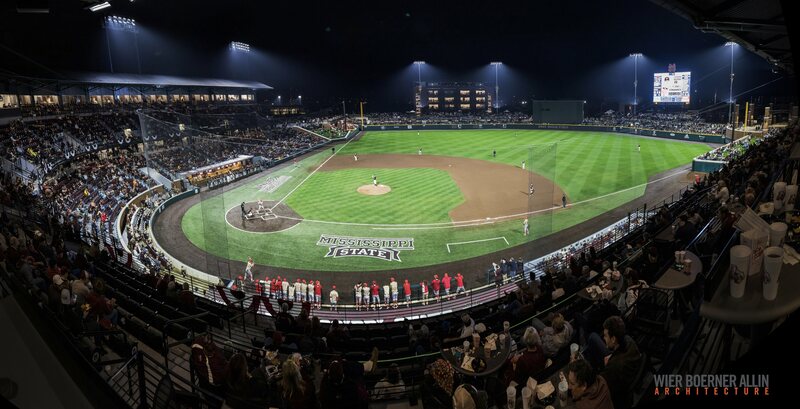 Consistently named as one of the top college baseball venues in America, Dudy Noble Field at Mississippi State University set the standard for on-campus facilities when it was built in the mid-1980s. 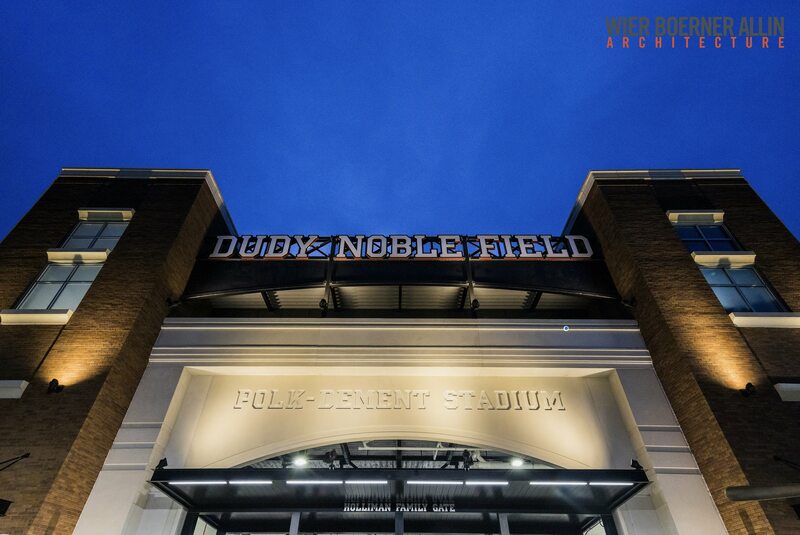 Having now been surpassed by many of its peer facilities, MSU hired WBA Architecture, in association with Populous, to comprehensively reimagine and redesign the facility from the ground up. This strategy helped meet the goal of reestablishing Dudy Noble Field as the finest on-campus, collegiate baseball facility in America. The expansion includes a new double-tiered seating bowl and an elevated concourse that surrounds the playing field, allowing a constant 360-degree view of the playing surface with excellent sight lines for every fan. In addition to the substantial structure renovations, the design team incorporated new welcoming entry plazas, new restrooms, concessions and a kids’ play area to engage every fan and appeal to the team’s family demographic. New press facilities, suites and the Omaha Club highlight the new View Level. Also included in the two-phase renovation is berm seating, upgraded field lighting, a high-definition video board and digital ribbon signage. 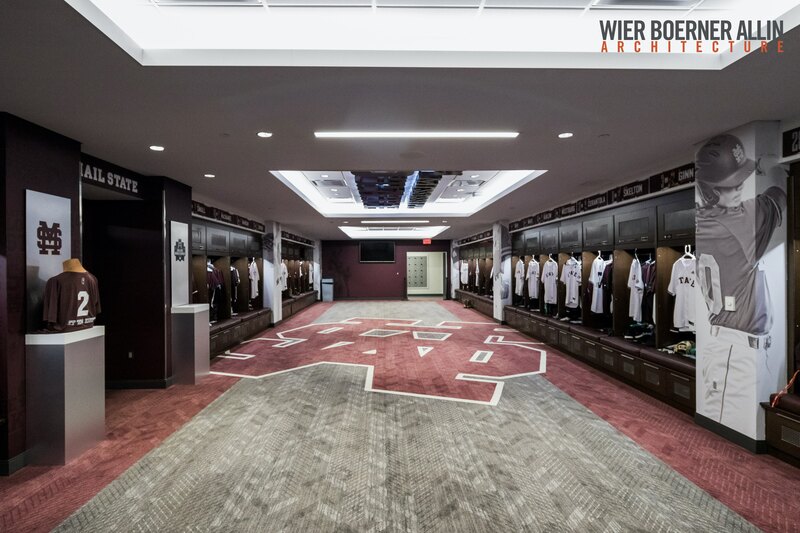 The renovation not only improves the fan experience, but also benefits the team by including new team areas such as a clubhouse, meeting spaces, indoor batting cages and spaces for athletic training and equipment management.